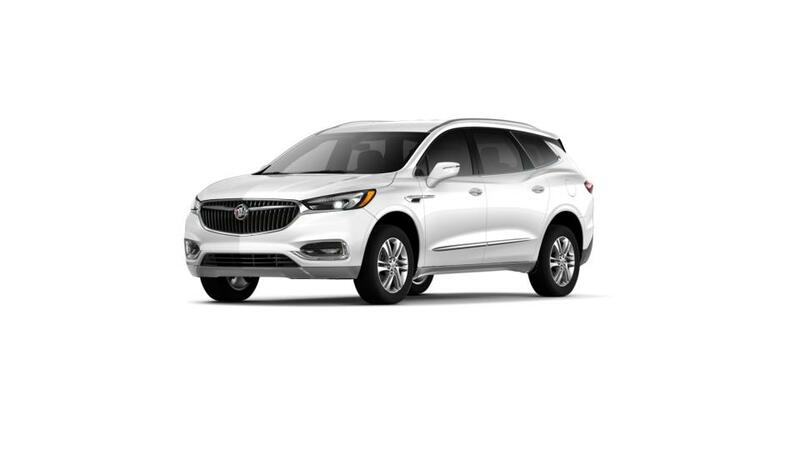 The Buick Enclave is a family-friendly midsize SUV that is adaptable and dependable. Take a look at the new 2019 Enclave Avenir trim with its maximum elegance and timeless design. It has room for up to seven passengers and three rows of seats, so there is loads of space for the whole family and all of your stuff. Tech fans can take advantage of the available 4G LTE Wi-Fi and the capability to connect several devices for entertainment on the go. It has a six-speed automatic transmission and excellent performance, in addition to safety enhancements like Blind Zone Alert to help you prevent collisions on the road. Browse our inventory of new Buick Enclaves in Quakertown to select the color and extras that are best for you. Give us a call at (215) 536-1900 to set up an Enclave test drive today.